Transportation Costs > How Much Does a CDL License Cost? How Much Does a CDL License Cost? A CDL, or commercial driver’s license, is a type of driver’s license required in the United States for drivers who would like to operate any vehicle that has a gross weight rating of 26,001 pounds or more. 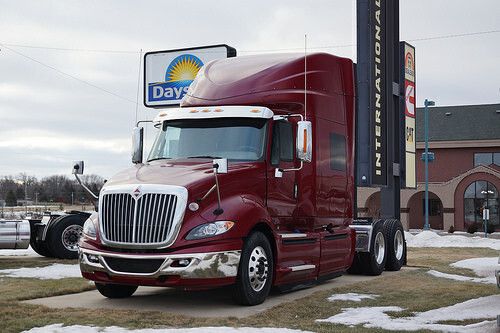 Before you get a CDL, you will need to take a state test to become licensed. The price for obtaining a CDL can be different depending on the state where you apply. On average, a CDL license can cost anywhere from $8 to as much as $150 for the license alone. There three types of licenses: Class A, Class B, and Class C. The fees listed on the chart below are for the license only, and this will not include any additional fees such as the schooling and skills test. The fee for getting CDL will include the permit to take the license. The basic tests such as the skills test, vision test and knowledge test will also be included with the payment for obtaining a CDL. Some states may require that additional tests are taken. Once the skills and knowledge test is completed, a grade will be issued, and upon successful completion, a CDL license will be issued. This license will enable you to operate a commercial vehicle throughout the United States. Like a driver’s license, you will need to take a training course before you’re able to apply. Depending on the school you choose, the license you want and where you live, tuition can range from as little as $3,000 to more than $8,000. One of the many costs involved in getting a CDL is the test that needs to be taken. The price for the exams ranges from $10 to $100. Renewing the license after its expiration can cost $25 to $150 in the future. Depending on where you live, your license may need to be renewed every four to six years. Out of state applicants that already have a CDL will have to pay a transfer fee. A HAZMAT background check is required for those that apply for a license. This background check can cost $50 to $100 depending on state policies. For example, if you want to do your CDL training without using a trucking company, you will need to pay a medical examination, application fee, skills test fee, license fee and additional endorsement fees. Check with local companies to see if training comes included. Many truck driving companies are in desperate need of help and many are more than willing to pay for a majority of the testing and license fees. This is a great route to take if you want to work with a commercial truck company. If you were to go this route, however, keep in mind the company will require you work a certain amount of time before you’re able to leave. Renewal for my class A CDL , Had to take my Haz-Mat test 2 times.